HOT! Tamron announces a new 18-200mm f/3,5-6,3 Di III VC lens for NEX!!! The spanish DSLRmagazine (Click here) just posted a super news! Tamron launched the first E-mount lens, the 18-200 mm f/3,5-6,3 Di III VC. Yeah there is already an Alpha lens version of it but this lens has been specifically designed for NEX and the main feature is the “step-motor” which is designed to align 100% with the contrast AF system of the NEX, particularly good for video! In addition, the “DMF” (Direct Manual Focus) allows focusing by hand if necessary, even in AF mode. 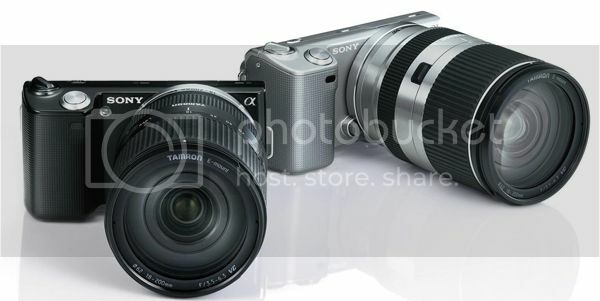 previous post: Sony NEX-7 camera of the year (Popular photography ). And new NEX-7 reviews.